Residents of a swanky high-rise building on the Upper East Side Neighborhood in New York City, New York, are under siege after a mystery shooter fired a small caliber handgun into apartment windows twice in the last week. According to the New York Post, the bullets have been fired from a rooftop or balcony across the river on Roosevelt Island. Now its residents are scared, and that could be bad news for the real estate market. “I’m petrified for my life,” resident Ilene Epstein told the Post, which first reported the shootings on Monday. “I moved into this apartment because of the river. I have beautiful views,” said Ms. Epstein, a 55-year-old real estate agent who has a flat facing the East River. Two residents had their windows shot out after the gunman fired multiple .38-caliber bullets into their One East River Place apartments, police sources told the Post. The incidents occurred on Thursday night, and then again on Saturday, less than 48 hours apart. As shown below, residents of the high-rise building, located on 72nd Street between York Avenue and FDR Drive, are using plywood to patch the blown out windows. The first shooting happened around midnight on August 14. The tenant awoke to a breeze whipping around the flat but soon found out their window was blown out. 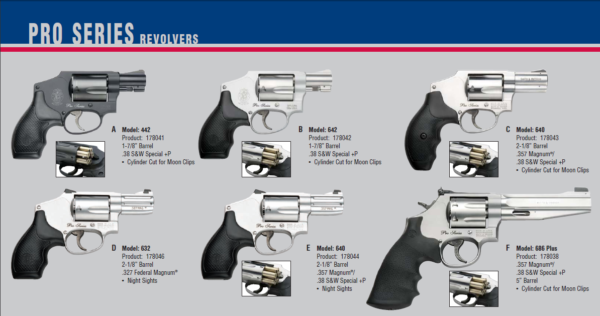 Law enforcement officials said a .38-caliber bullet, most likely fired from a Smith & Wesson handgun, was recovered from the scene. Within 48-hours, another bullet penetrated the window of a unit on the 32nd floor, where two-bedroom apartments rent for more than $7,000 per month. Around 1:15 a.m. Saturday, the tenant was jolted awake by the shattering of the living-room window. Police told the Post that no ballistic evidence was immediately recovered in that incident. In both incidents, neither tenant was injured. “They were lucky they weren’t up late watching television,” a law enforcement source said. Cops on the Roosevelt Island had checked out several reports of gunfire but marked them unfounded, with no victims or ballistic evidence. However, detectives point out that four apartment buildings sit directly across the water from each other at roughly 300 to 400 yards. We plugged in some numbers using the external ballistic calculator from GunData.org that “accurately” details all aspects of the trajectory of the bullet as it leaves the gun’s barrel. 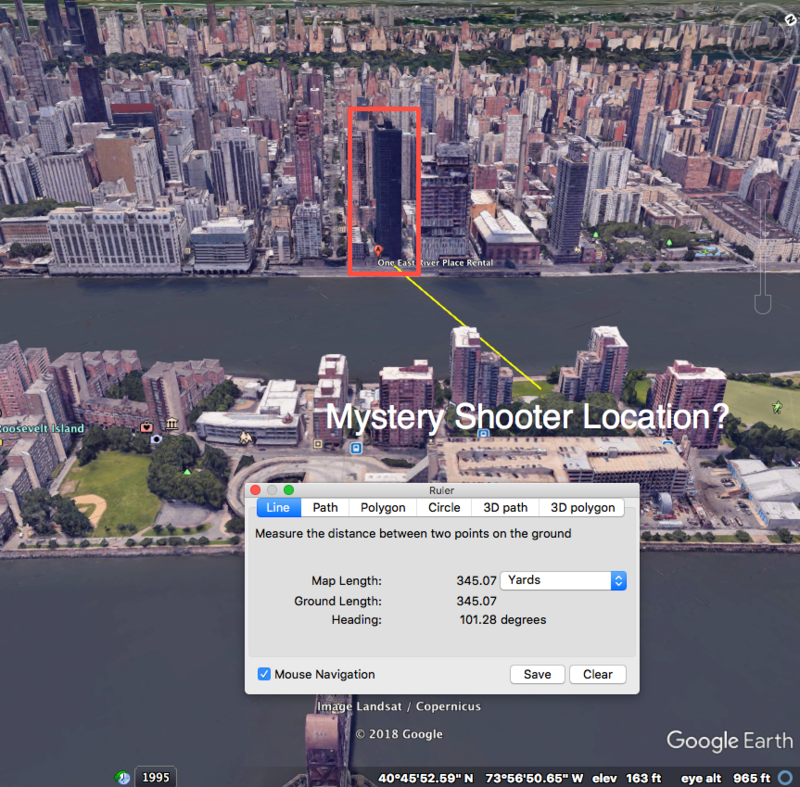 It is entirely possible given the range of the four buildings mentioned by authorities that the mystery shooter is not just on the Roosevelt Island but located in one of the four building labeled above. The Post said law enforcement officials still had no leads, suspect, or exact location of the shooter, leaving the Upper East Side tenants in fear of being shot. “What world do I live in? Who shoots randomly?” said Arik Cohen, a 45th-floor resident at One East River Place. Cohen said he feared another round of bullets from the “psycho” shooter –even though his apartment faces the opposite direction. “My wife is in Long Island with our baby. Maybe I should call her and tell her to stay there for a few days,” said Cohen, a 37-year-old computer programmer. Since the case is not closed, many residents of One East River Place will live in fear that a shooter remains at large. Let us hope this does not lead to a firesale in condos on the Upper East Side as the real estate market is already soft.